People assume I spend a lot of money on clothes because I wear designer brands, but that couldn't be further from the truth. I try to make sure my key pieces are always brand name, like my denim collection, which is worth over a thousand dollars (but of course I only paid a tiny fraction of that). 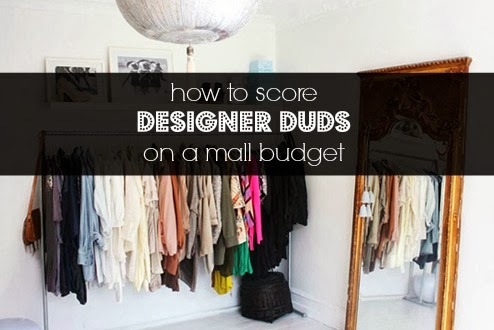 Keep reading for all of my secrets to owning designer pieces on a shopping mall budget! This may sound silly, but the most important thing is to know about brands, pricing, and quality. When browsing through discount stores such as TJ Maxx, Marshalls, and thrift stores, it is important to be able to spot a high quality item. You should also know if the discounted price is fair or not. With newer or less known designers, stores like TJ Maxx often price items way too low (yay for me), but with big name brands the prices are sometimes more than I'm willing to pay (wait for it to go on clearance). 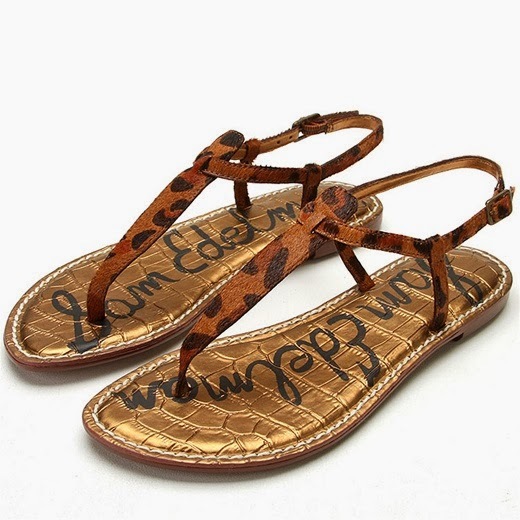 Recognizing brands helped me score these BRAND NEW Sam Edelman leopard sandals (as seen on the Kardashians) for $4 from Goodwill (original price $65)! Designer sizing can be a bit crazy, so I definitely recommend going to a high-end store, like Saks or Bloomingdale's, and trying on shoes and pants from a wide range of designers. There are always great deals to be had on Ebay, but you can't return items so you better know exactly how a brand is going to fit you. Almost all of my jeans are from Ebay. Two of my favorites are my Rag&Bone ankle skimmers (paid $90, orig $180-$220) and my 7 for all mankind boyfriend jeans (paid $40, orig $190). P.S. Rag&Bone jeans rarely go on sale, so if you see a deal, grab it! I'm kicking myself for not knowing my shoe size in Prada!!! VAUNTE.com (editors, designers, and even celebs resell their designer clothes for a fraction of the cost) had peep toe Prada pumps for $70 (retail $500- $650) in excellent condition. I heard Prada shoes run big so I didn't want to take the risk, but I will definitely be trying on some shoes in the near future, so I don't miss out next time! Now that I'm done drilling you about size, I need you to throw it out the window. While I know what size I wear in most brands, if I see something I like in person, I try it on regardless of the size. I have clothes ranging from xxs to large and they all fit great. You never know, so just try it on!!! Whenever you are in a store, it doesn't hurt to browse. You never know what you can find in thrift stores and even major chain stores that you may think have nothing you would like. I am ALWAYS on the lookout and I'm pretty sure I can find something cute in any store you put me in. 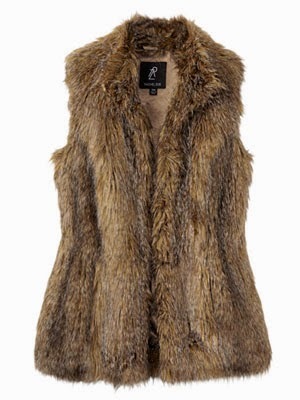 I was at a wacky-thrift-costume shop looking for something for a costume party and spotted this Rachel Zoe faux fur vest (sold out). Original price $100, I got it for $30! I love the length and the cut! The Google Shopping tab should be your new best friend. You guys already know I use Ebay a lot, but I also randomly search the internet for bargains as well. I usually find out the name of the item I want and then Google it to make sure I'm getting the lowest price. When shopping online, I always try to find coupon codes and free shipping to add to my savings. I also always register with new online shops to get the first time buyer 15% - 20% discount (you can always unsubscribe to the emails after). One of my favorite online shops for discounted brand new designer clothes is 6pm.com. It might be hard to find your size, but if you are lucky enough you can score a great deal. I got my favorite 7 for all mankind coated black skinny jeans for $70 (now $129 boo) original price $198. My unofficial family job is "the price scanner". I loooove going to stores that have price scanners and checking the price of everything I like. You would be shocked how often clothes are marked incorrectly. ALWAYS SCAN. Also be sure to check the price of things you see on Pinterest, blogs, etc. Whenever I see a cute outfit on Pinterest I track down the items to check out the prices. It is surprising how many outfits are mixes of high/low items, so it's worth it to check if what you like is super affordable. I snagged both of these finds from sheinside.com, which I would have never found if I didn't research the pinned outfit. It definitely takes some work, but I promise it will become second nature to you. 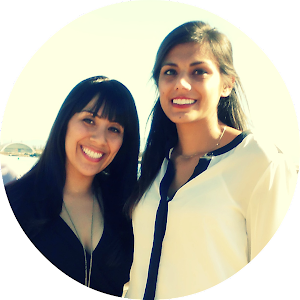 I hope these tips will help you discover that you don't need a million bucks to look like a million bucks! Thank you so very much for putting this blog.